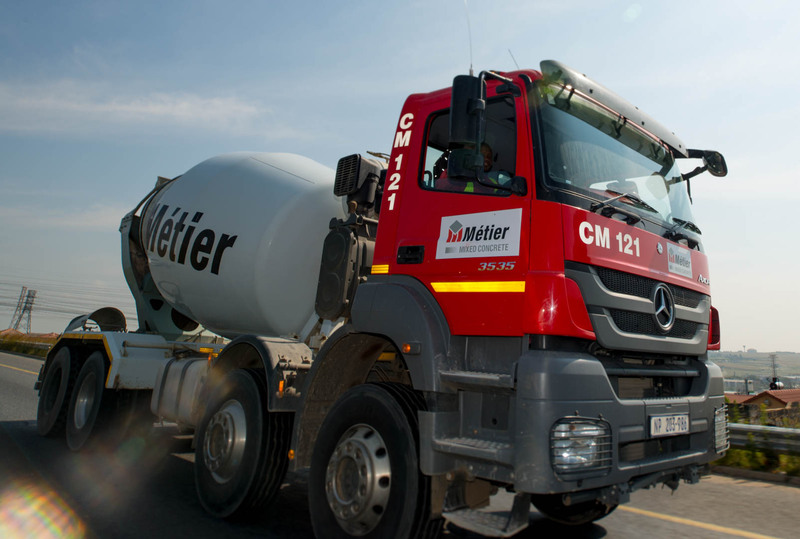 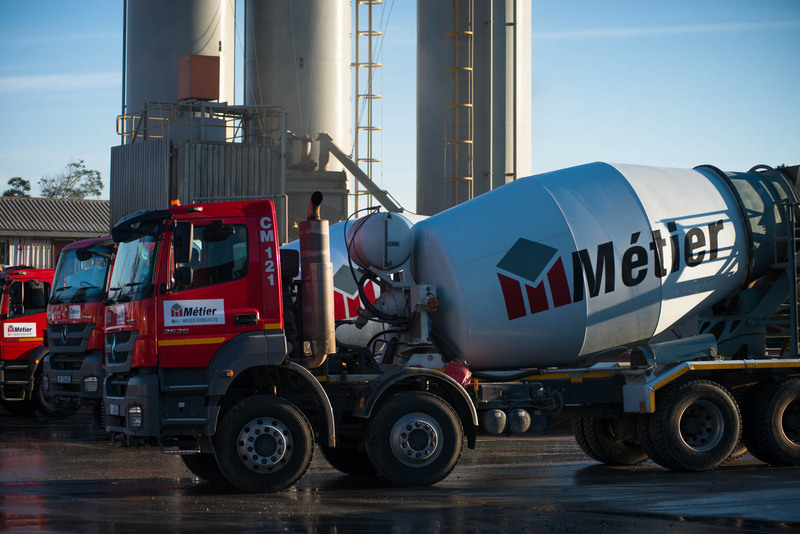 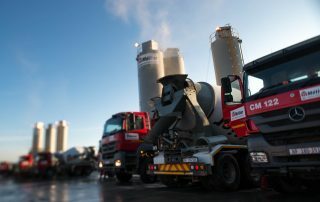 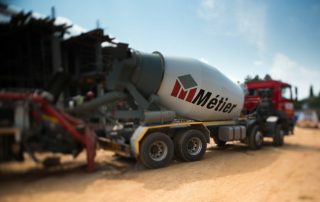 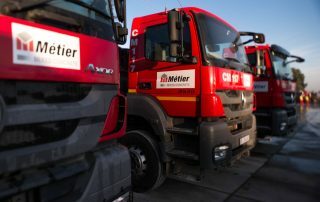 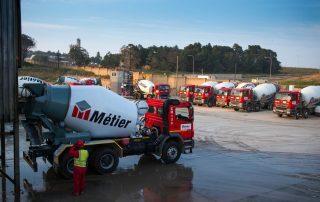 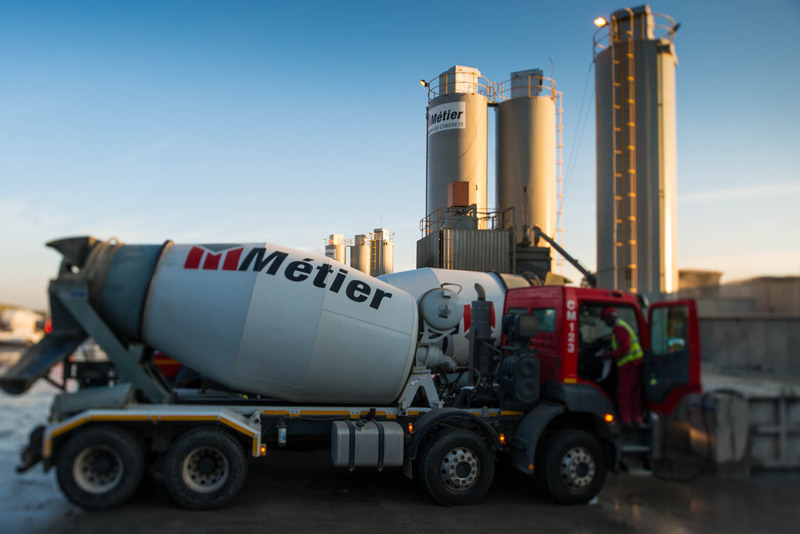 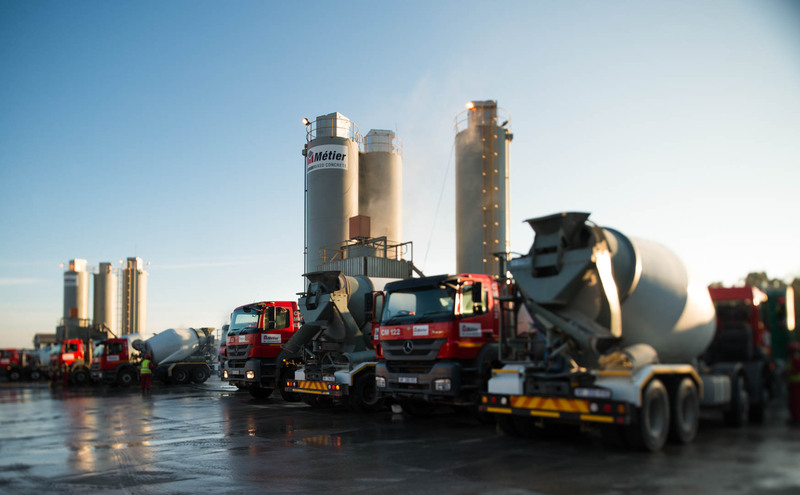 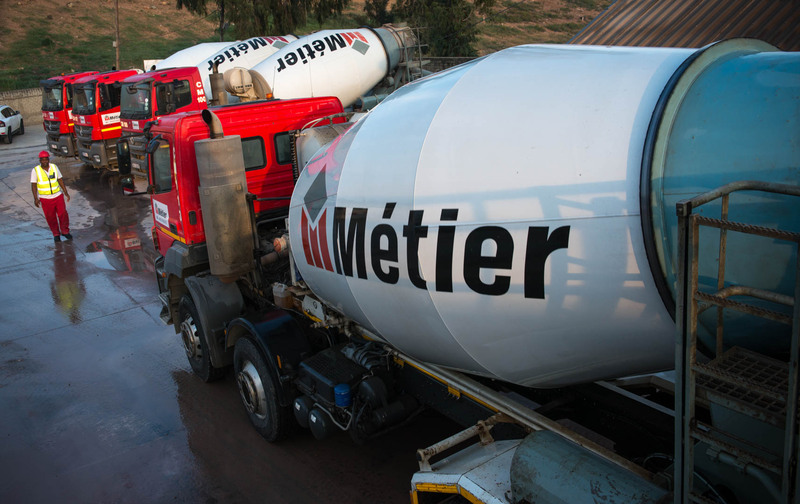 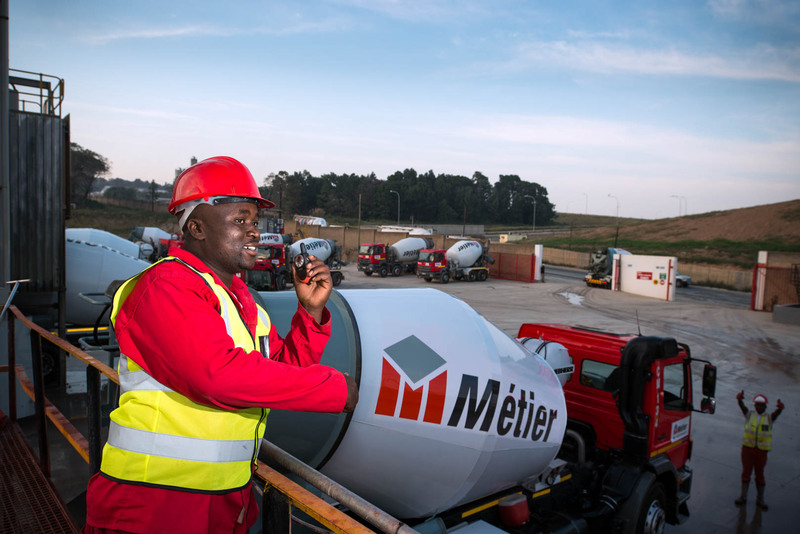 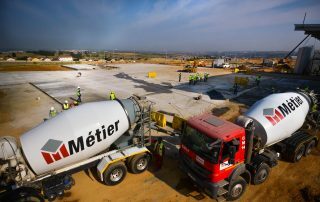 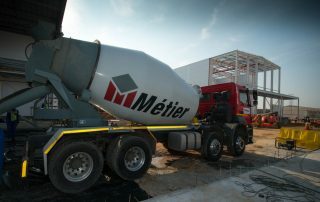 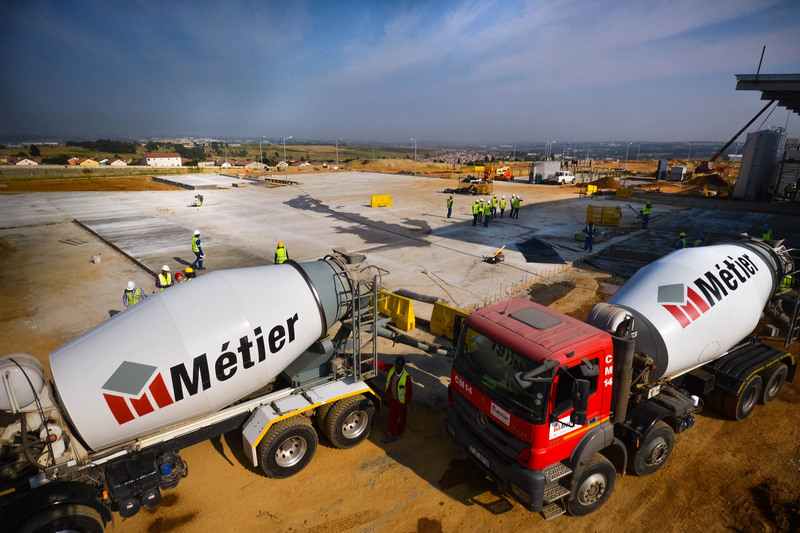 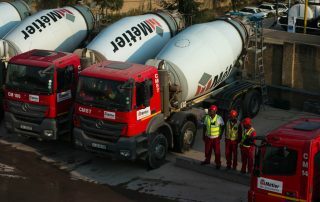 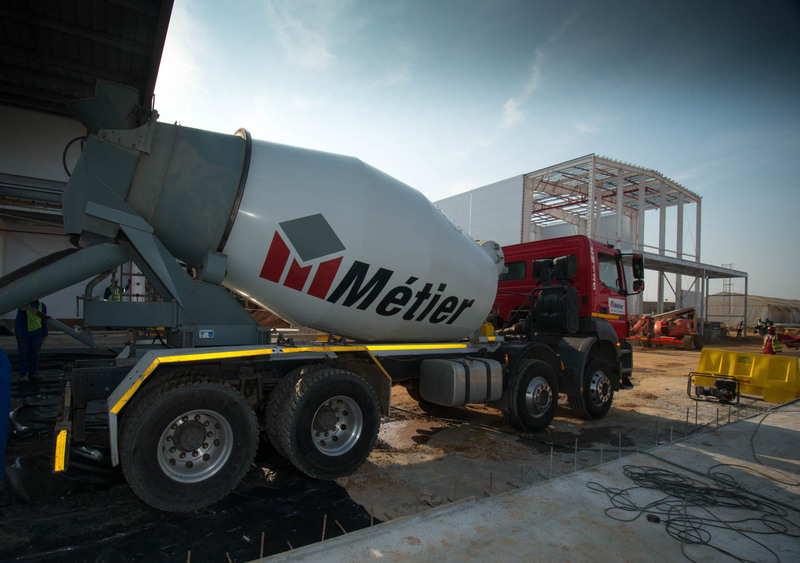 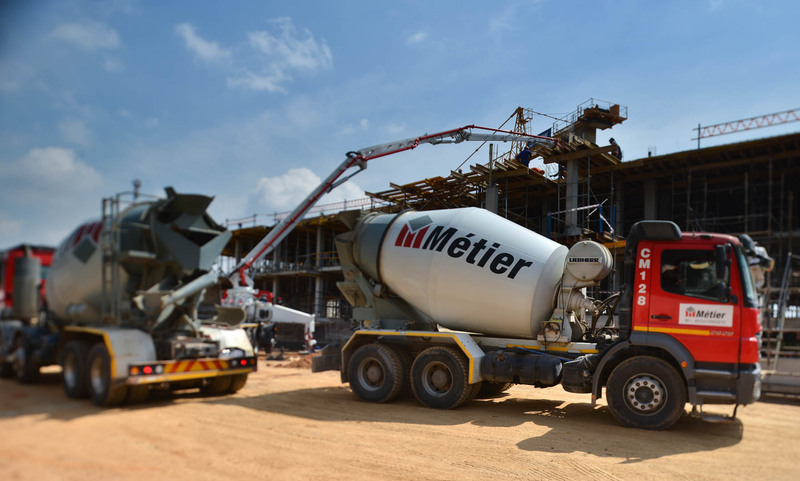 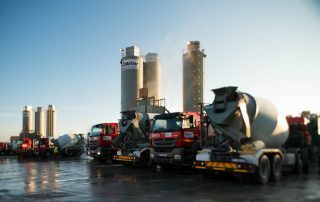 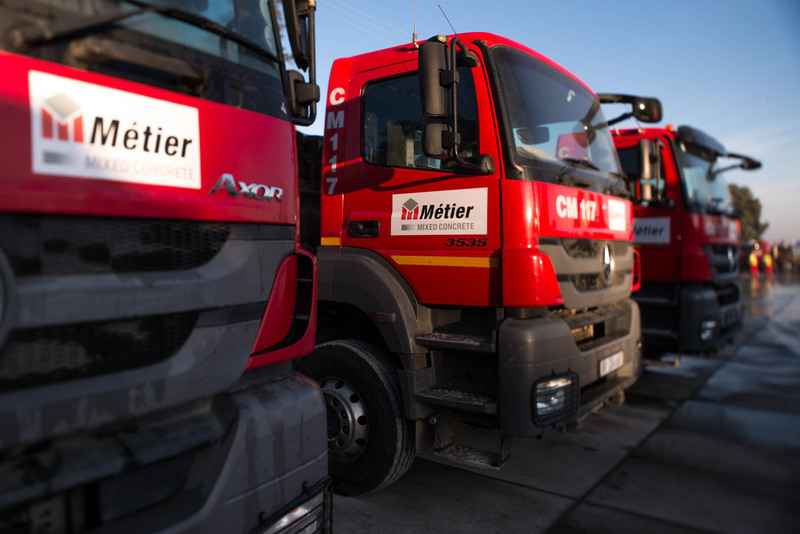 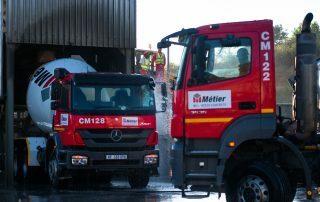 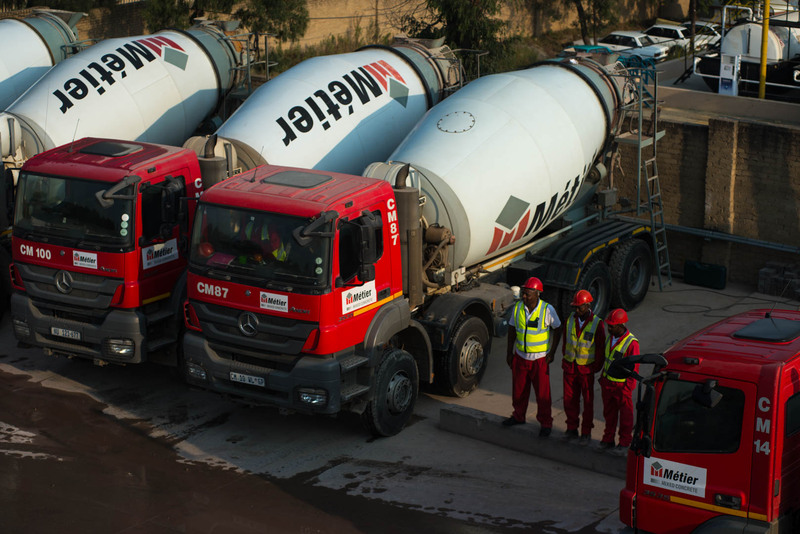 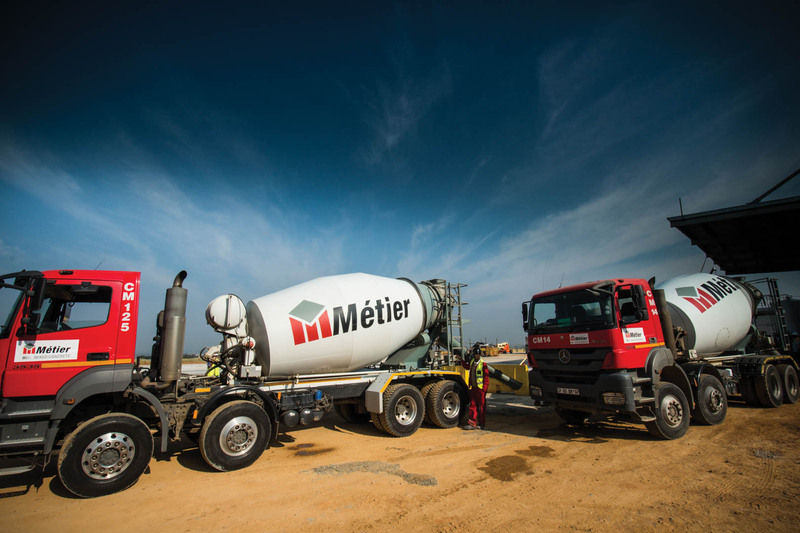 Métier Mixed Concrete currently runs a large fleet of ready mixed concrete trucks. 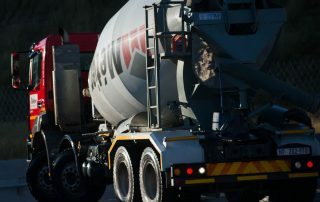 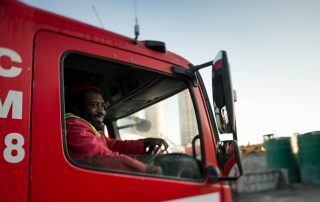 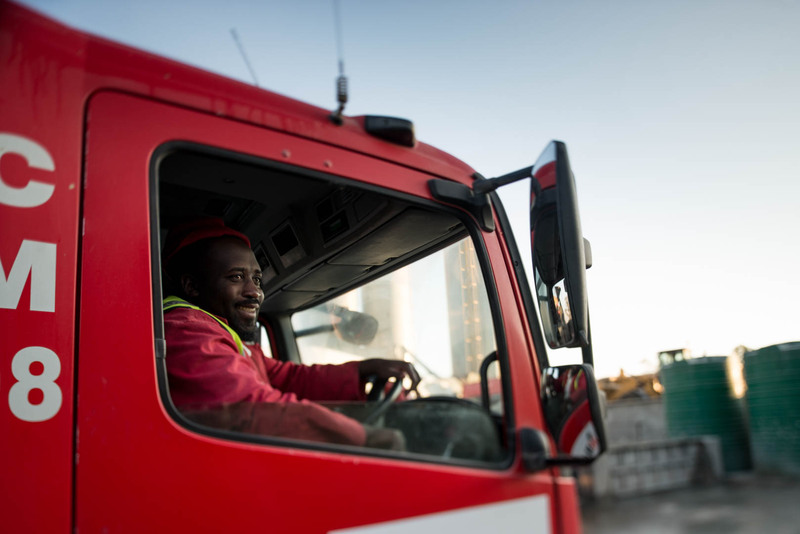 The company has fully computerized vehicle tracking units in each vehicle allowing the company to track its fleet live and to have GPS co-ordinates at all off loading points. 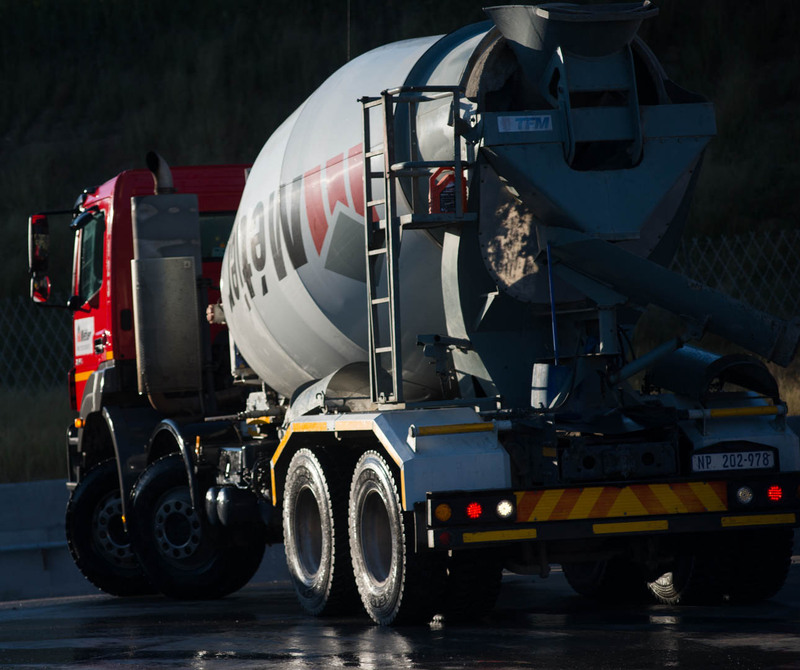 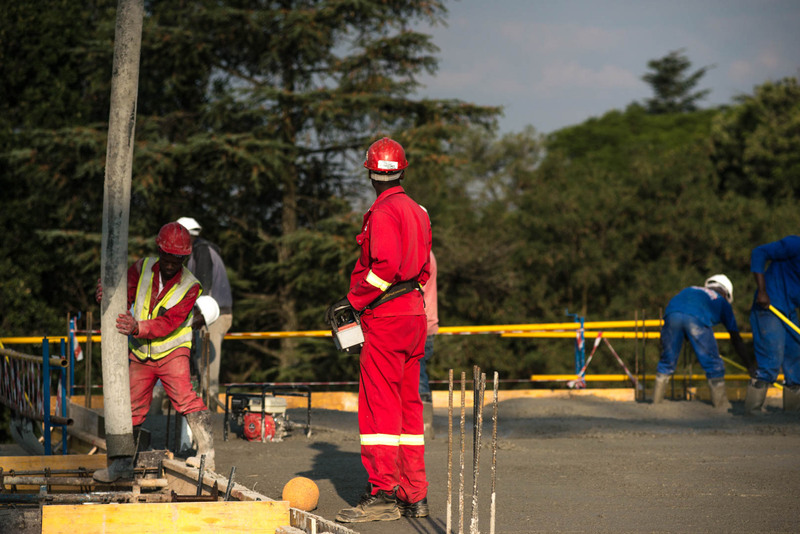 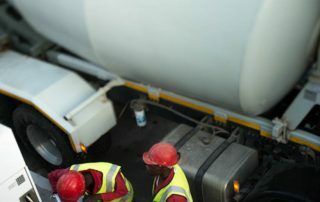 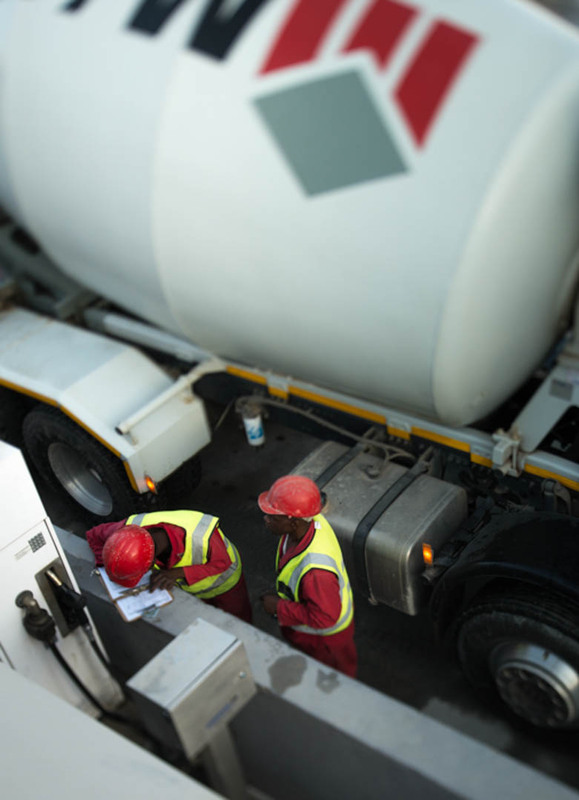 Due to this superior technology and tracking, deliveries to clients can be accurately monitored to ensure that correct quantities of concrete are delivered, on time, to site. 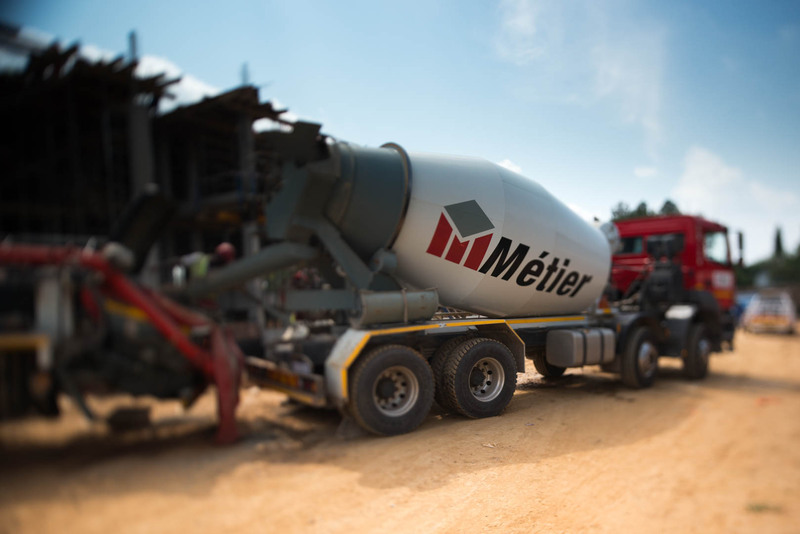 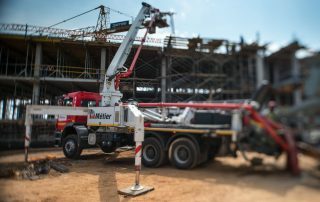 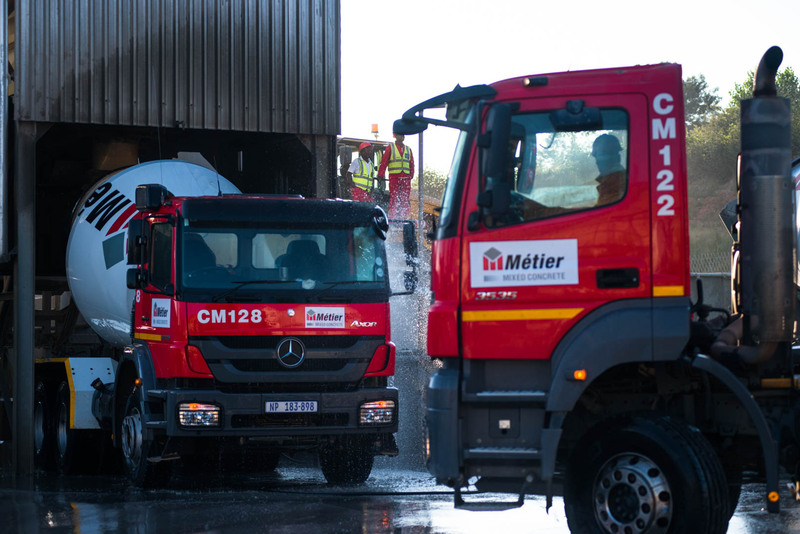 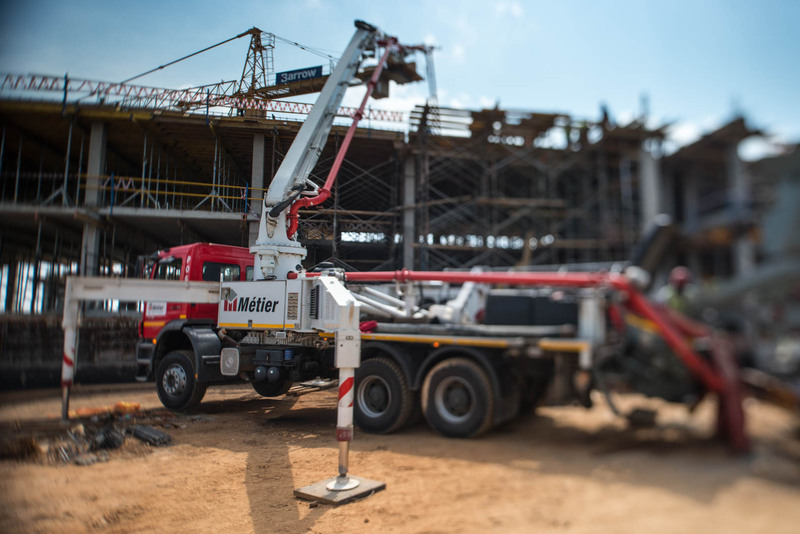 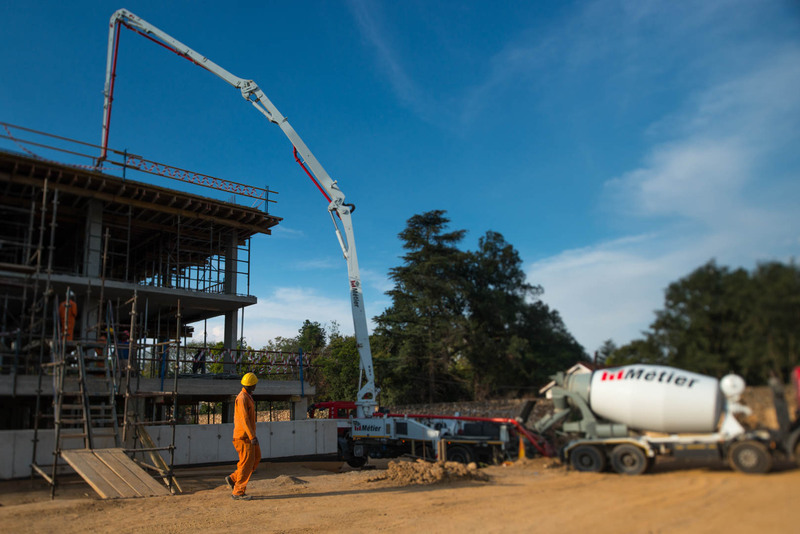 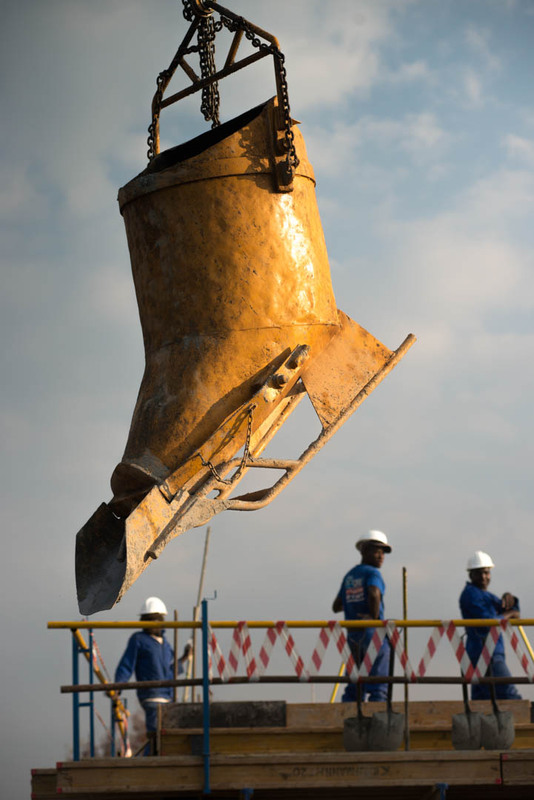 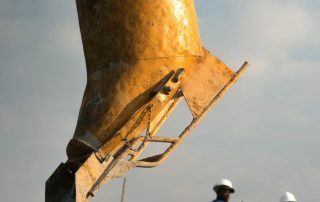 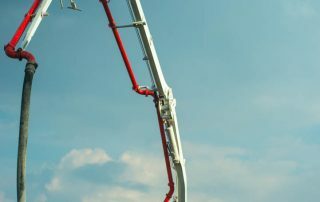 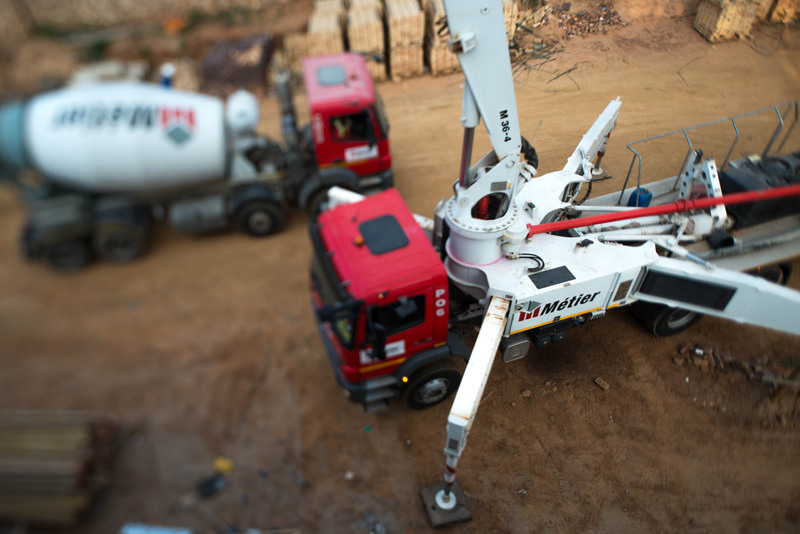 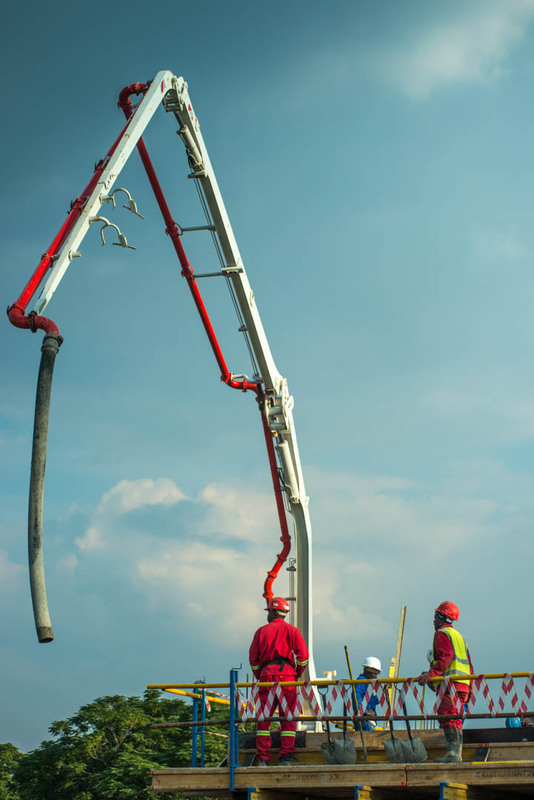 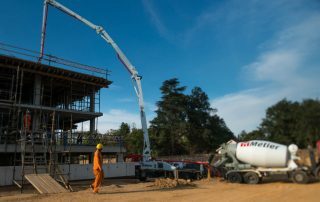 Métier Mixed Concrete has a full-service concrete pumping division with state-of-the-art 36 meter Putzmeister concrete boom pumps rated at pumping concrete at 120m3/hour. 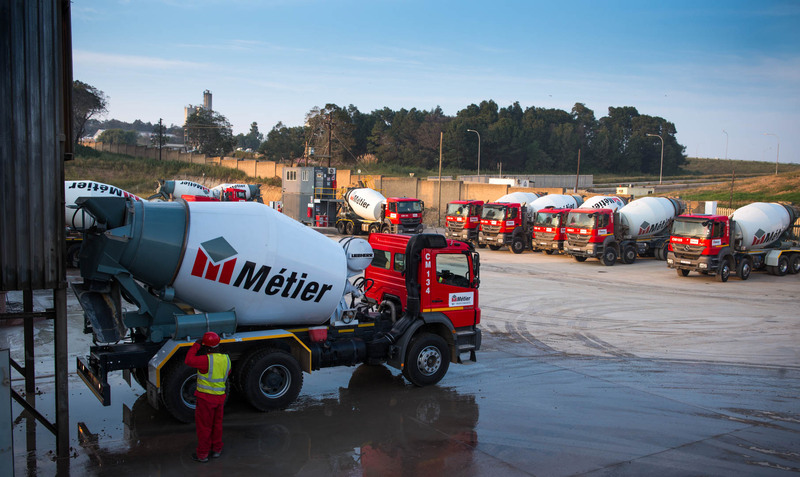 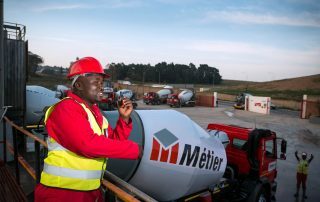 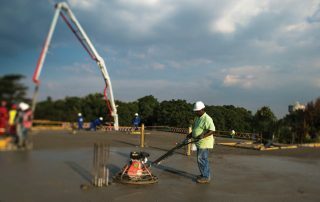 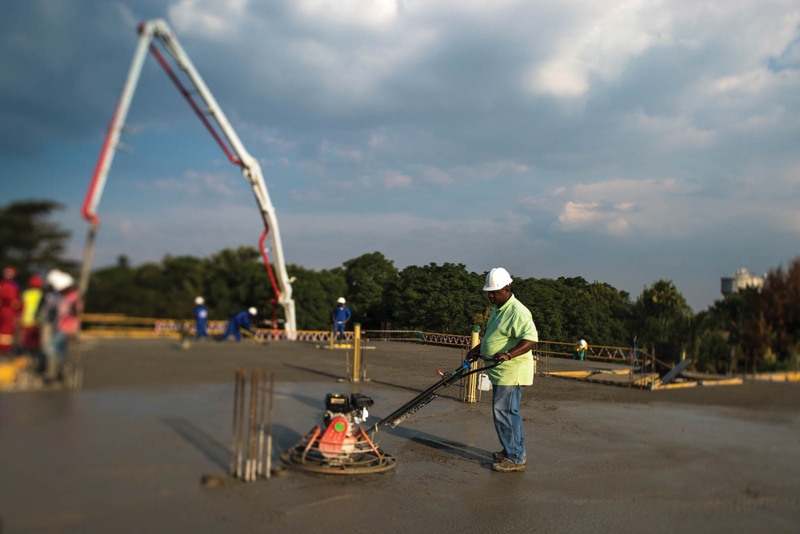 The Pumping Division enables increased efficiency and productivity in pouring concrete for clients and ensures that Métier is able to offer clients a value-added service.